Every parent knows that travelling with kids is not easy. Whether you’re hitting the road with toddlers or teenagers, it’s normal to feel at a loss when trying to plan activities suitable for the whole family. So how do you keep youngsters entertained in a city like Seattle? This list of 22 attractions, activities and restaurants is a good start. Explore a world of giant objects, shapes and dinosaurs. Seattle’s Olympic Sculpture park is a an outdoor green-space where kids can run around, get fresh air, and marvel at the strange sculptures. Admission is free and the park is open 365 days a year. Take a ride on the Seattle Great Wheel. A giant ferriswheel that offers a fantastic view of the city. Go for a spin with the whole family and challenge the kids to a few rounds of I-Spy as you soak in the Seattle skyline. Take to the skies. Over 150 air and spacecraft exhibits await you at Seattle’s Museum of Flight. You can spend an afternoon touring this large museum that is both fun and educational for the kids and genuinely interesting for parents. One of Seattle’s main tourist attractions, Pike Place Market is the ultimate food hub. 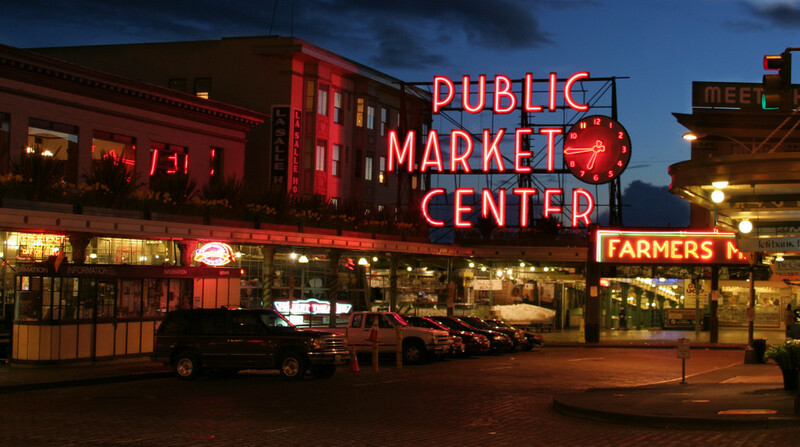 Fresh market produce, high-class restaurants and artisan boutiques, Pike Place has it all. Treat the family to something sweet at Daily Dozen Donut Co, Seattle locals agree that they've got the best doughnuts in town. Pinball is one of the most iconic arcade games. Take a trip to the Seattle Pinball Museum where you can see the evolution of the game and play on antique arcade machines. They have themed pinball games too! See Robin Hood, Pippi Longstockings, and many other beloved children’s tales come to life. The Seattle Children’s Theater is one of the most prestigious youth theaters in the country. Kid friendly shows are a great way to spend an evening or two. Do a little learnin’ at the Pacific Science Center. Here you can watch an IMAX show, explore mind boggling exhibits, and attend fun demonstrations. Its also worth it to visit their Tropical Butterfly House where you can see thousands of colorful, exotic butterflies. Satisfy your sweet-tooth (it’s okay, you’re on vacation!). Seattle may be well known for its coffee, but its just as proud of its chocolate. Tour Seattle’s tastiest chocolate providers and enjoy some delicious, rich cocoa goodies. Hop on board for a wonderfully wacky water tour of Seattle. All Duck captains are coast-guard certified and sure to make you laugh. Stops include major sites like Pioneer Square. This comedic boat tour will make the whole family laugh and giggle. 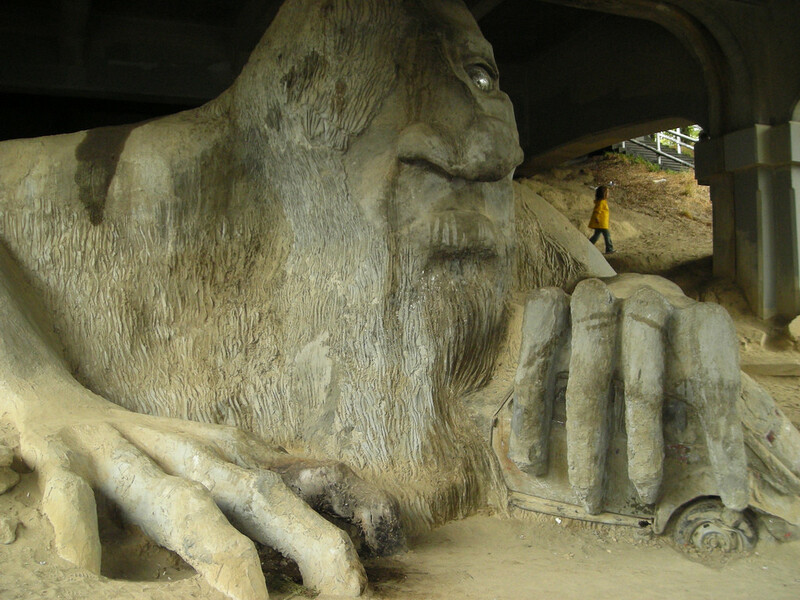 The Fremont troll lives under the Aurora bridge and came to life on Halloween 1990. A giant statue created by local artists, this strange creature provides the perfect photo opportunity and a fun stop that everyone will enjoy. You haven’t seen Seattle until you’ve taken a trip to the Space Needle. This iconic tower offers a 360 view of the city plus a rotating restaurant with a kids menu. Climb to the top to witness the full, beautiful Seattle skyline. A little gross perhaps, but Seattle’s famous gum wall will be a fun stop for the whole family. A part of Pike Place Market, Seattle locals have been sticking their gum to this wall for years. You can join in the sticky fun. Get chewing, have a bubble blowing contest, then contribute your wad to Seattle’s gum wall. Vibrant glass sculptures that are a treat for the eyes and a feat of artistry. A local Seattle artist showcases his giant glass artworks. This attraction may be more for the parents than the kids, but hey, you deserve some fun too. Let your kids’ imagination explode at the Imagine Children’s Museum. This spot has an art studio, engineering projects and even a few day camps where you can drop off the kids and do some grown-up exploring in the city. Surf some fun at Wild Waves Theme Park. A full on water park where you are sure to find entertainment for the whole family. This is more of a summer vacation spot, if its raining in Seattle, as it often is, you may want to skip out on water slides. Go retro and see a drive-in movie. They have sodas for less than a buck and hotdogs for about the same price. If you have a car its definitely worth it, and enjoyable for the whole family. A giant arcade that will be fun for both kids and parents. The little ones get to go nuts with hundreds of games and sports, parents can also play or sip some cocktails and enjoy some good food. Fasten your seatbelts, restore your seat backs to their full upright position, and discover the Future of Flight. An amazing tour where you can learn all about commercial airplanes and even create your own aircraft designs. Kids and parents alike will love the experience of flying to virtual destinations. 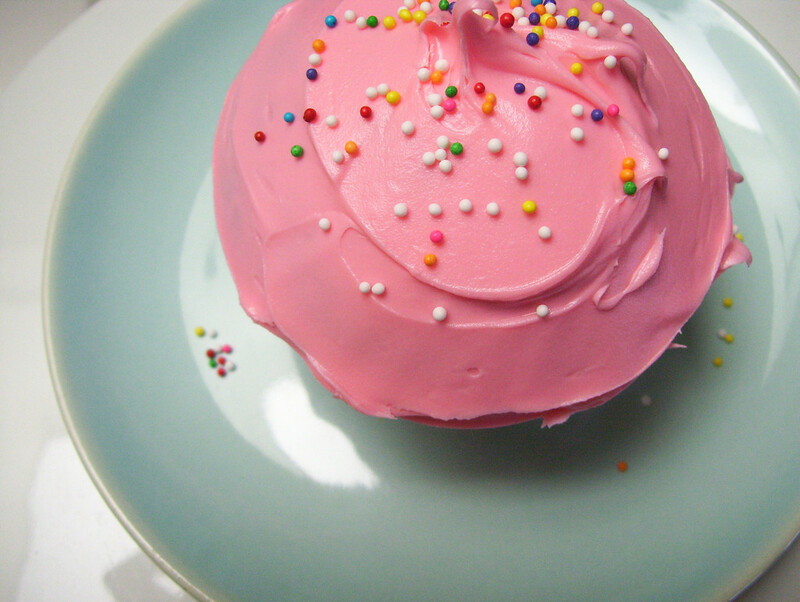 What better than a cupcake to brighten up a little one’s day? Seattle’s Trophy Cupcakes offers delicious cupcakes that look as fun as they taste. The Herbert H. Warrick Jr. Museum of Communications offers tourists a major blast to the past. Kids will enjoying seeing the evolution of telephones and other forms of communications. Considering how hooked younger generations are to cellphones, they’ll be surprised to see things like wired telephones. Dive into fun at the Seattle Aquarium. Let your little ones explore the magic of the ocean. Countless unique sea creatures await you at Seattle’s favorite field trip destination. Every kid loves a trip to the zoo. 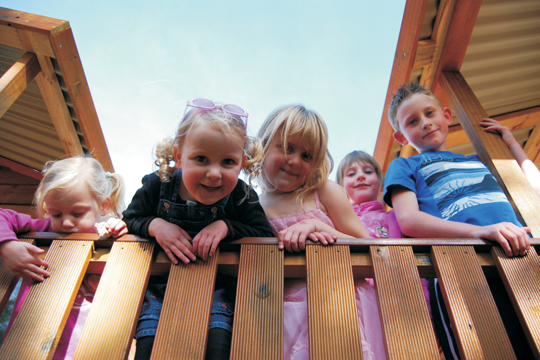 Offering an incredible spectrum of activities, the Woodland Park Zoo is a great place to spend a day with the kids.